The Migration Policy Centre at the European University Institute has the pleasure to announce the launch of its Observatory of Public Attitudes to Migration (OPAM) on 20 September in Brussels. 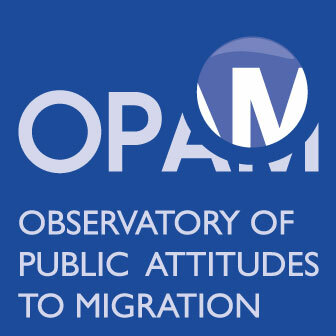 OPAM is the first Observatory dedicated to producing comprehensive, pan-EU data and accounts of public attitudes to migration in Europe. It aims to become the go-centre for both researchers and practitioners interested in one of the most important public policy issues in Europe today. The launch will not only be an opportunity to present the Observatory, but also a forum for distinguished speakers in the realms of policy, civil society and research to discuss its relevance and our understanding of what causes variation in public attitudes to migration in Europe. The event is live streamed on Youtube and Facebook. Photo, Audio and Video recording are foreseen during this event for the purpose of creating awareness and distributing information on the event.